"Mix (2.) and (3.)" When I started out with Proza, I was overambitious and actually wanted to do something like that, creating a superfamily of different weights and 5 different degrees of contrast. I'm glad I didn't go through with it. Better to focus on one of the two, and keep the other as a possibility for later. If I were you, I'd focus on either the moderate or zero contrast design. A high-contrast sans-serif can teach you a lot, but is extremely hard to get right. Jasper, I agree that starting out with a superfamily in mind is probably a recipe for disaster (or at least an early forfeit). I also agree with you that the visual quality drops with increasing weight, and that it's probably a good idea to drop the Black weight (unless it came with some drastic reshaping, as with Bély Display...?). Even in Proza, I find the lightest weights have a distinguished rhythm and elegance that diminishes somewhat in the heavies (presumably by sheer inevitability). Even in Proza, I find the lightest weights have a distinguished rhythm and elegance that diminishes somewhat in the heavies (presumably by sheer inevitability). Experimenting with contrast grades. For some reason, the highest and lowest contrasts feel the most coherent to me in this view. However, when I see the lowest-contrast sample in isolation, it looks crude to me. I don't actually mind the white color of the high-contrast /E much. Tabac Glam pulls it off successfully, too. I tried flaring the horizontals a little in the heavy weights, but then the whole /E starts to look sad. She's your baby. If the high-contrast version looks better to you, just go with it. Maybe I should just bite the sour apple and make one high-contrast and one low-contrast version. If they share the Hairline master and forego heavy weights, I could get away with «only» three masters... plus the Italics... and the high/low masters can build on each other, so they don't take twice as much work as sticking to only one of the two... then again, this sound dangerously like compromising for the sake of convenience. Dammit, it seems I'm past the blissful days of single-weight projects. I'm also not sure whether chipping away at the shoulders and heels is an improvement or not... sure, it helps the poor /d, but doesn't it also reduce the overall solidity a bit...? Testing different grades & widths & weights & contrast & all that stuff is always super cool, but you must do so with a target size-range in mind, or a target use-case. What looks best for body text (14 or 16px) will look like a horse at huge sizes (180px), and what looks super nice at huge sizes will look all jammed and pressed at text sizes. Of your previous 5 options, they all look good, but each for a different purpose. Basically if you add a little bit of spacing and width to the mix, you end up having multiple masters families like Adobe's display, deck, text & caption series. I should probably also stop using a Bold weight to make these decisions — after all, Garamond itself shines in Regular, and suffers a Bold only by neccessity. As a test, I've adopted the low-contrast Bold as my second master, kept the clipped-off heels, and added some bracket-trick intermediates to keep the contrast from growing too quickly at low weights. It doesn't look as crude as I had feared. Pablo: Since the Hairline is my starting point, I guess my primary goal is something that looks good at display sizes. However, if the small-print test above is any indication, this low-contrast approach could make for a decent text face (especially for the modern-day text use, i.e. 15+ pt on a retina screen). If I end up making a high-contrast version as well, that would almost certainly be for display sizes only. I will probably never make anything optimized for small sizes and bad resolution because that sounds like a lot of work and compromises. OK, I'm starting to have fun with this. Time for a new thread, no? Congrats on the new release, Christian! That italic /de-cy is always a royal pain to get right. BTW, here's a little «stealth change» I made to the Garamond style of Cormorant along with the flashier stuff... the counters of /A and /R are now more relaxed to match the more relaxed counters in /a and /e. 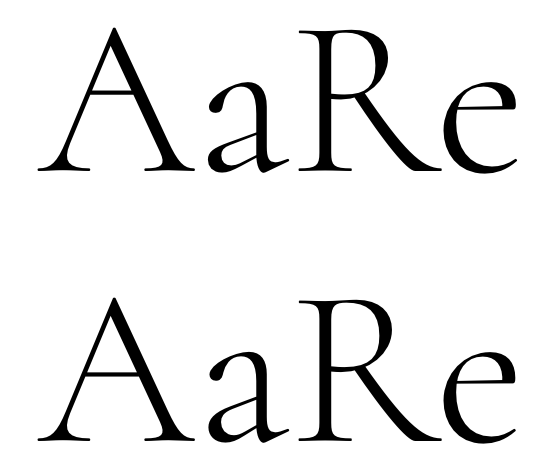 That /R has been bugging me for a while in Garamond settings. Oh, and I got rid of that inexplicably odious foot on the lining /seven. What was I thinking...? I really wish that you can do a “Text” version alongside the current Garamond. I’m currently typesetting my paper using a modified version of it. Well, Cormorant was intended as a display companion to traditional Garamonds (like EB Garamond), so it seems unnecessarily cyclical to make a text companion to Cormorant now. Then again, Cormorant does have its individual character now, and I do admit the thought has crossed my mind. 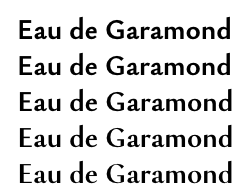 Making Eau de Garamond as a sans companion to the Garamonds (including Cormorant) is my first priority right now. I'm getting the impression that Eau will be surprisingly capable as a text font, so you could always use that for your paper. Cormorant has been sighted in print! That's super awesome. I had to order the book immediately. :­­D Thanks for posting the pictures, it's available on amazon but the previews are so blurry you can't even see what font it is. Found at my local bookstore (Vermont) btw. Actually, how about this /g for the more sober default face? It's certainly more Garamond than the previous ones, and it even geminates well. And how about that /R? 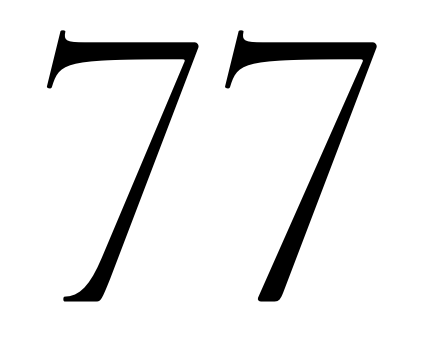 This is a beautiful font, to my eye there is only one thing which I noticed which looks incongruous. But this is only my own opinion. The forward junction between the upper bowl and the lower bowl of the capital B and the forward junction between the upper bowl and the leg of the upper case R seem disjointed to my eye, they need to curve in more to flow into the junction rather than have a sudden change of direction. Apart from this one thing it seems very good. That book cover shows something that's been nagging me for a while, though. The thins in the Bold cut look vanishingly thin compared to the stems. I'm wondering whether I shouldn't strengthen them a little. Sorry I didn't realise how long the thread was, sorry. I see that the issue with the B and R has been addressed already. The g is not malformed, it's just a little idiosyncratic. It has character! 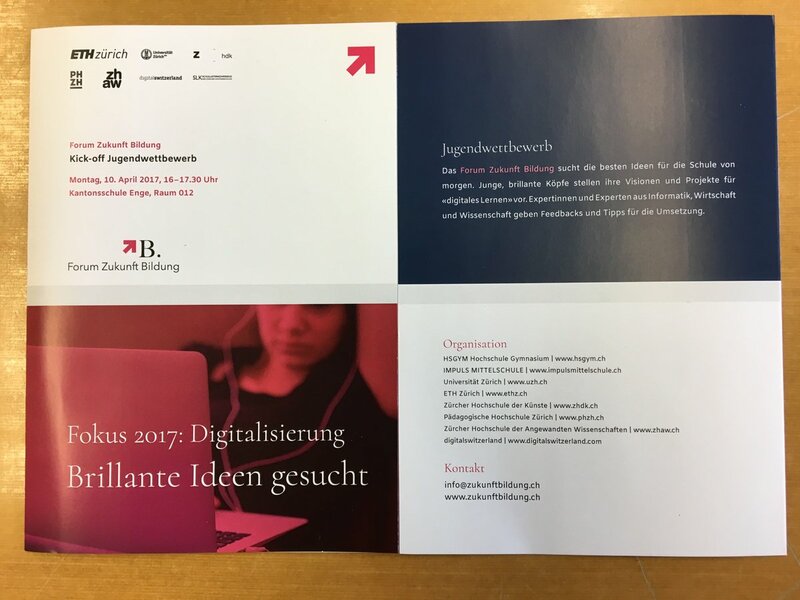 I found this flyer lying around at school today. That's not the /g/ I remember, have you updated it? It looks great, anyway. 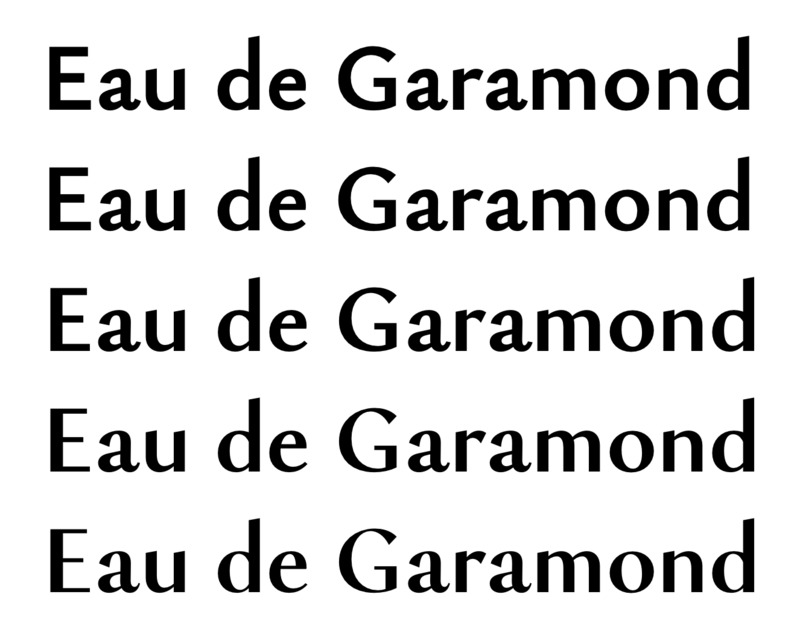 How's Eau de Garamond progressing, by the way? Ori: That's the default /g of the default Cormorant fonts. Were you thinking of the «good nagging» /g a few posts up? That has been dumped for the current saner version a long time ago. Or maybe you were thinking of the /g in the Cormorant Garamond fonts, which has a horizontal loop top and larger eye. I haven't worked on Eau for a long while, and I haven't received any funding to work on it this year. As a result, what little time I have for type design currently goes into the Black master for Quinoa. There's a dedicated thread for Eau, btw. Oh yeah, I was thinking of the good nagging /g/, I had missed that post. No idea can ever die. Well, I'm not a graphic designer, so I don't need fonts at all. It's just that seeing this project completed would make me metaphysically content.